Microsoft Office documents condense hours or days hardworking of users. Microsoft Word, Excel and PowerPoint dominate the market of character processors, spreadsheet and representation slides. And documents generated by Word are stored in DOC and DOCX formatted, Excel files are in XLS and XLSX format, and PowerPoint files are mainly in the form of PPT and PPTX. These files in different formats occupy important place on hard drive of computers. In an undesired situation that hard drive failure or file system corruption, what will you do to restore lost document files and save your days or even years of working? Windows and Office program can be reinstalled easily from original CDs or image file, but lost document files are not the same story. If you have a recent backup if lost Office files, and that couldn’t be better. Lost document can get recovered from backup easily. However, what if the backup is too old and it doesn’t contain latest files which you’ve put a lot of work into them and haven’t backed them up? What’s worse, you don’t have any copy of backup at all! 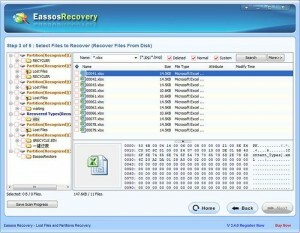 Microsoft Office Recovery needs the help of free file recovery software such as Eassos Recovery. It can scan all sectors of hard drive and file system of partitions to locate and recognize lost documents that are deleted, formatted or corrupted. This file recovery software is still workable even after hard disk failure. 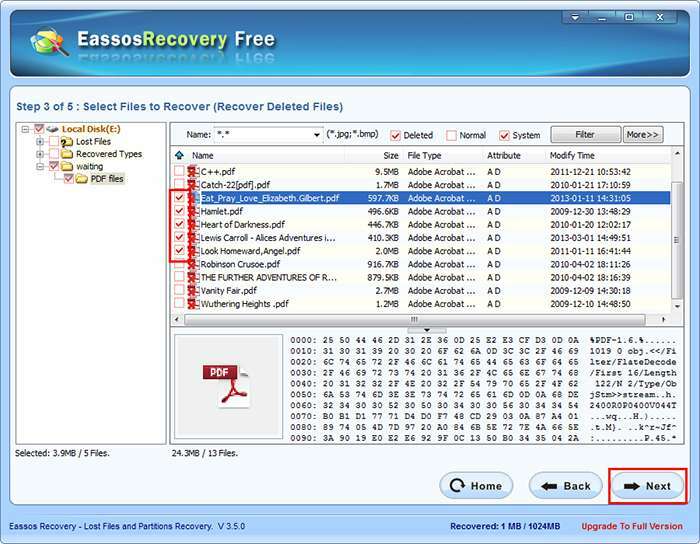 Eassos Recovery offers several file scanning modes that ensures document recovery can be finished successfully. 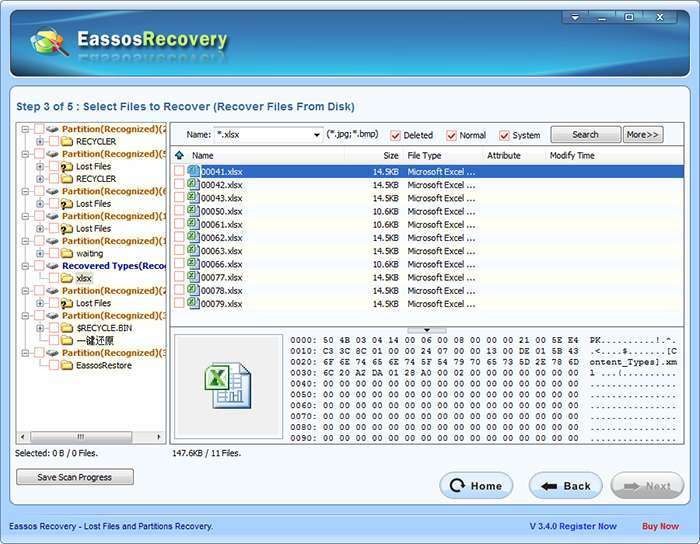 Each type of document files has particular file feature, and Eassos Recovery is able to identify all Microsoft Office file types, so that lost files can be recovered by file type when file system is badly damaged or lost documents are partly overwritten. Download this useful recovery software and start your Microsoft Office recovery now. 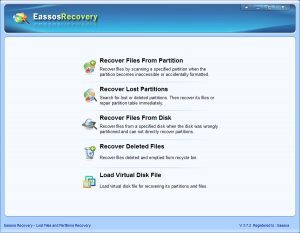 Step 1: Install and launch Eassos Recovery from your computer. Step 2: Select correct recovery mode for different file loss situations. Then click “Next” to start file scanning. After file scanning is done, you can preview all recoverable files by double clicking files. If you are not willing to view and look for certain files one by one. Then you can get them filtered with the help of filtering feature which can filter by time, size, type and name. You can view lost files in through the file recovery software, but that doesn’t mean lost files are really recovered. You need to copy them out to a secure location which doesn’t need recovering files. This entry was posted in Data Recovery and tagged document recovery, free file recovery software, Microsoft Office Recovery by EASSOS. Bookmark the permalink.